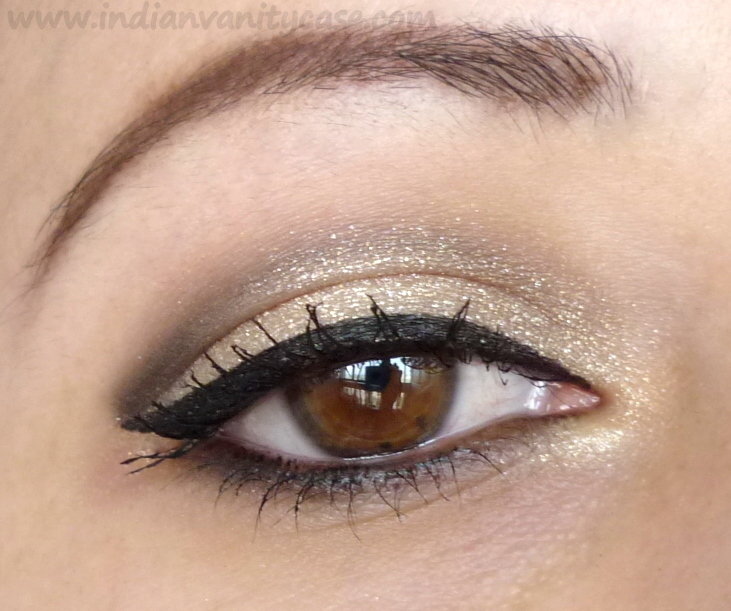 Indian Vanity Case: MAC Flighty Big Bounce Shadow: Impeccably Rich ~ WOW! 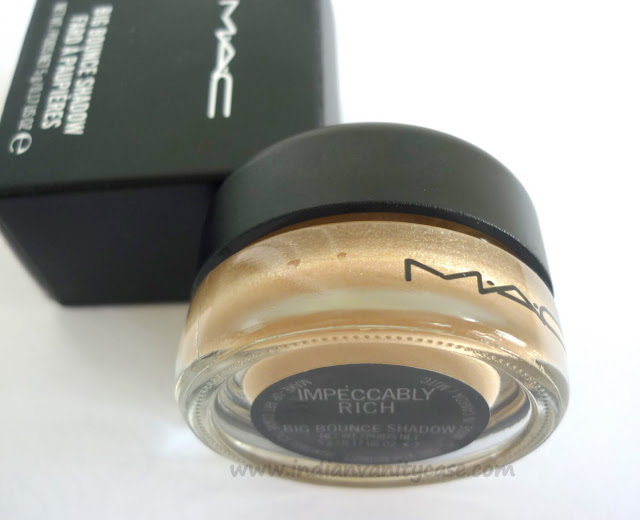 MAC Flighty Big Bounce Shadow: Impeccably Rich ~ WOW! Impeccably rich. Doesn't that sound umm....rich? This shade lives up to that name. It is one mac product that I'm in looove with at the moment. To be honest, it was more of a half-hearted buy, but after the 1st time I wore it, I've wanted to wear it everyday! Eyes are fresh and luminescent with beautiful sheen washes of vibrant color using new Flighty Eye Shadows. 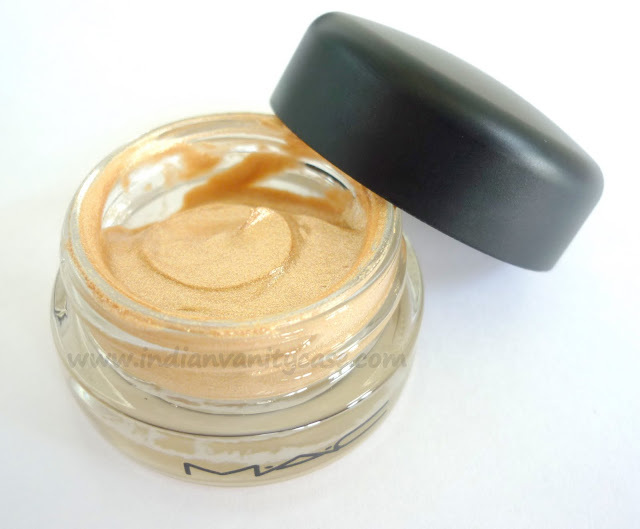 This spongy, mousse-like eye shadow is lightweight, lasts for hours, and imparts a cooling sensation upon application. 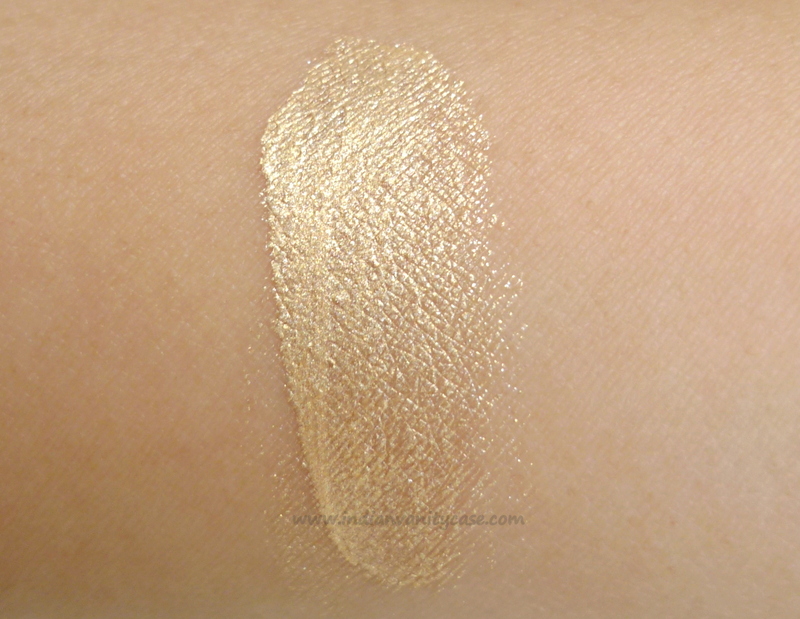 Impeccably Rich is aptly described as a light cream with gold pearl. It's such a gorrrrgeous gold! My favorite kind. I think it looks better than liquid gold, not that I've seen any liquid gold in real life. I think this gold would suit everybody. I don't usually buy gold eyeshadows specially, but this has inspired me to rethink some stuff. It is long-wear too, it stays intact the whole day on me. How to apply ~ I use a Q-tip or flat synthetic brush to spread it on my lids evenly and then I use my pinky finger to blend & smooth down any streaks. Does it Crease? I expected it to, after reading some reviews, but it didn't (with TFSI primer underneath). Maybe it does a little bit, but not enough for me to notice. Rating ~ ♥♥♥♥♥ 5/5. Total love! Availability ~ Mac Flighty Collection will probably be launched in India in August, coz they'll launch Quite Cute & Surf Baby first next month. This is beautiful on you! I reviewed Rich, Sweet and when left alone it DID crease on me... but if I use UDPP and set with an eye shadow on top it stays all day long, and I really do love it. I really think people should try it for themselves! woww such a lovely color... can be dressed up and down :D lovely choice u have gal!! It looks amazing on you!!!! I'm not fan of gold but hey! This one looks so classy and beautiful! now I feel bad for passing on this because I get MAC back at home. This was one of the only colours they had left in Singapore! this color is so pretty and matches tanned skin !! I am not sure if its available in USA. i have to go look! Thanks for the post! is it like a brand new item? Such an amazin' color definitely stands out really well. wich color u hv usd in ur crease as crease color.........?????? Thats a gorgggeousss color!!!! And love the way you used it too! 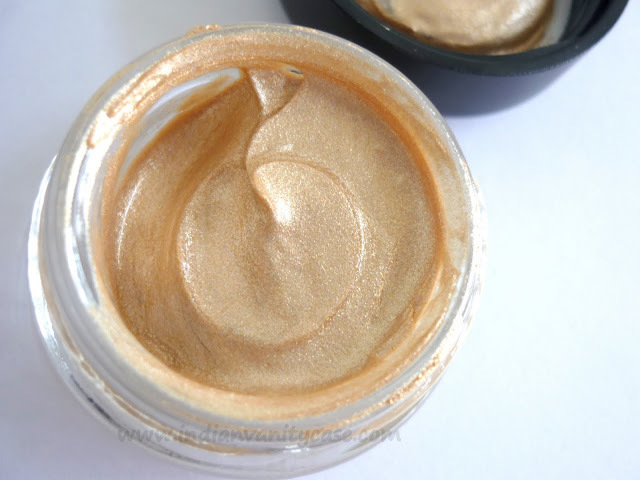 Golds tend to fade out on me because of my skintone, but this review makes me want to give it a try. It really does look lovely. I really like it on your eyes..
BTW, I love your blog! I'm following you now!